Want to learn how to make juice with a blender? It's a super easy and practical way to make juice if you don't happen to have an electric juicer. Even if you have one, this process is a great alternative when traveling. It also makes a nice secondary option if you're in a rush and not into cleaning a bunch of juicer parts. Blending your juice does tend to oxidize the ingredients a bit more than using the various types of juicers on the market, but it is still a considerably nutritious choice. 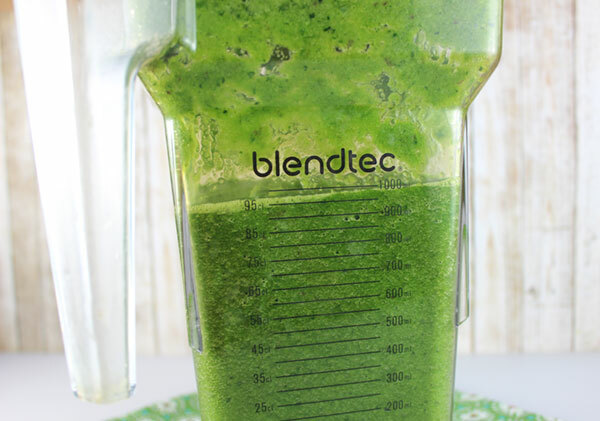 While blenders are typically utilized to make green smoothies or raw soups, here you will be separating the pulp fiber from the liquid much the same way that a juicer does. Only for this technique you will need to separate the two by hand. This is achieved by pouring the blended fruits/veggies through a fine mesh bag and squeezing out the juice into a collection bowl. It involves pretty much the same hand motions as milking a cow, but instead of milk (or nut milk) you get fresh concentrated nutrient-rich juice. 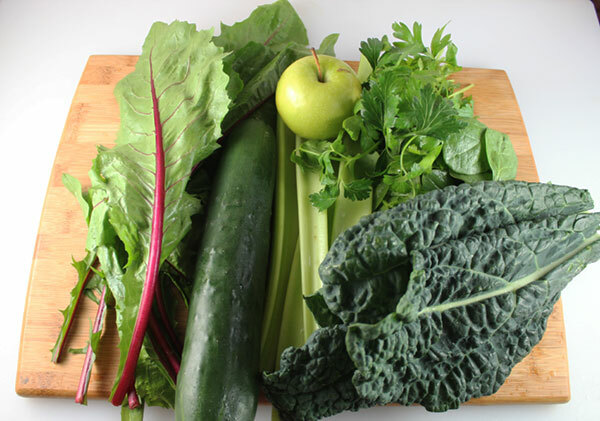 If you've read any of our other pages on juicing, you know that drinking green juice is great way to provide a readily absorbable array of vitamins, minerals and living enzymes to the body because it eliminates having to digest the fiber content. 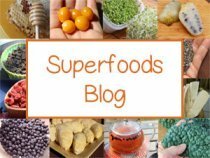 Of course, consuming a high-fiber diet is very beneficial to long-term health, but raw juices can be a great way to nourish, cleanse and give the digestive system a chance to reset. 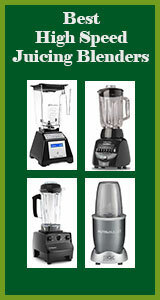 High-Speed Blender - If you are not quite ready to commit to purchasing a juicer, high-speed blenders can also do the job. 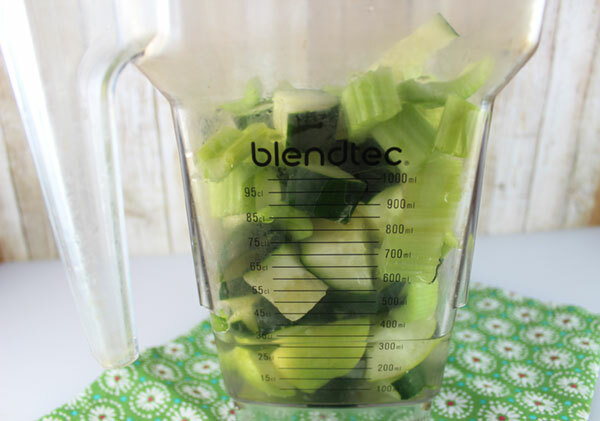 Models like a Vitamix or Blendtec can pulverize and puree large pieces of produce quite well when a little water is added to the chopped ingredients. Sometimes these higher end models also have "juice" modes to select. Other, less expensive, blender types like the NutriBullet, also seems to work effectively to create a smooth texture needed for juicing. Fine Mesh Bag - These mesh bags, usually made with nylon, are readily available online these days and sometimes in health food markets. Frequently they go by the name "nut milk bag" as they were originally created to strained the fiber or nut pulp when making homemade nut milks, like almond milk. Alternatively, you can you a fine mesh strainer but it is a little harder to press out the liquid and separate the fibrous material. 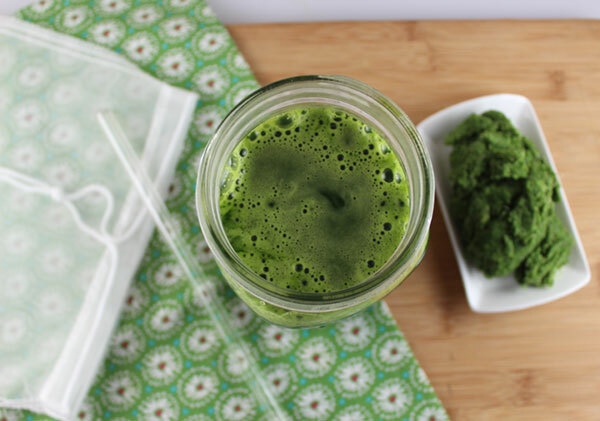 The trick to making juice with a blender is that you don't want to blend your chopped veggies on a high-speed, which will invariably heat it up and lower nutritional value. So blending slowly on a low speed is key to avoid nutrient loss. We use a Blendtec blender, but other models also work. We have even used a NutriBullet to pulverize the plant fiber and create a smooth puree. Place the "juicer" fruits/veggies, like cucumber, celery, apple in first, plus a little water, blend and THEN add the greens a handful at a time. Sometimes you can use all the green leafys at once if you use a plunger. 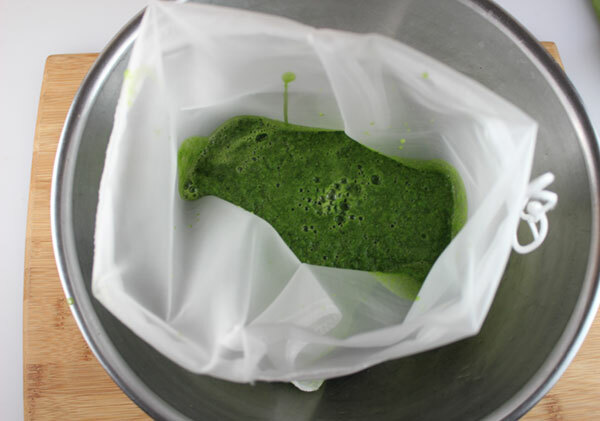 When straining the juice through your fine mesh bag, keep the pulp long and narrow to reduce surface area and make it easier to squeeze. Remember, in the end you want the pulp fiber to be as dry as possible. While have used a tincture press for this, to completely extract all the liquid from the fiber, it is not completely necessary. Hand twisting and squeezing works fine. If you happen to have young children, they usually love to do this part. 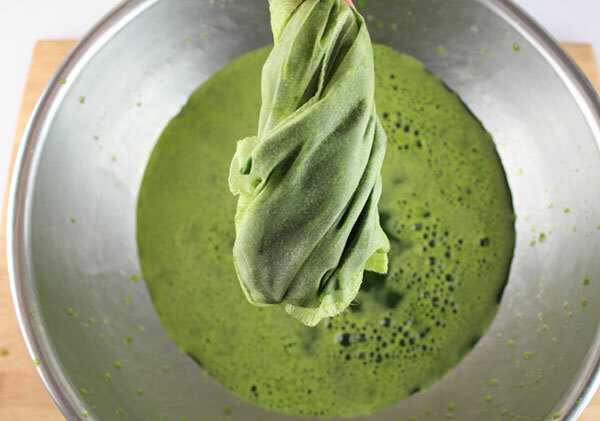 When juicing with a blender you are basically creating a smooth puree in which the chlorophyll-rich liquid can be hand-pressed out, leaving a dry fibrous pulp material. A tincture press can come in handy if you happen to have one, but usually a good firm squeeze will do the job nicely. 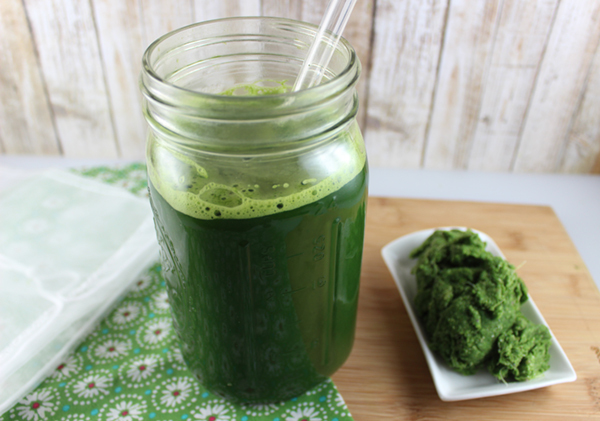 This recipe makes approximately 3/4 a quart of green juice. 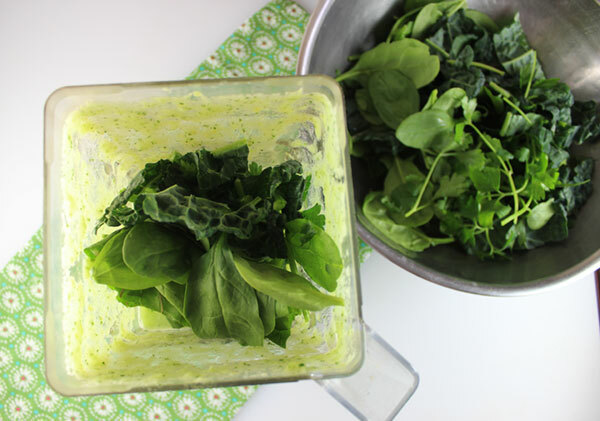 Chop up the "juicer" fruits/vegetables, adding them to the blender first. Blend on low speed for until pureed slightly, add pure water if needed. 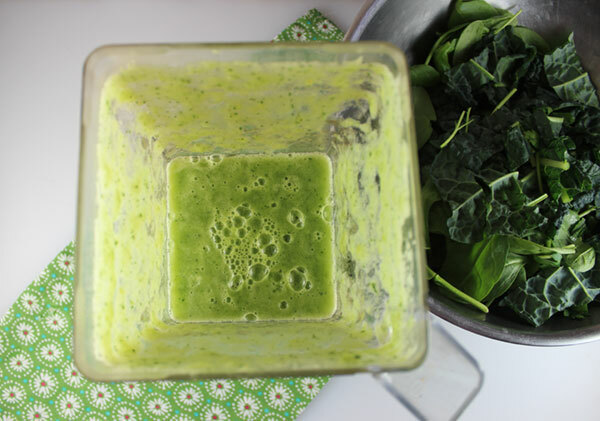 Then add your chopped greens, either all of them (if you have a blender plunger) or a little bit at a time until you get a rather green smoothie looking consistency. Again, add water if needed. To separate the pulp fiber from the juice liquid, pour this blended mix through a nut milk bag into a large bowl. Hand squeeze, like your "milking a cow", until mostly all liquid is extracted. Take the bowl and pour into a quart size mason jar. Preferably drink immediately or place a lid on it and store in the fridge for later use. 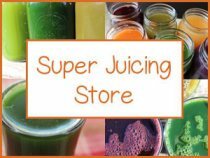 For more information on green juice fasting you can visit our juicing for weight loss page or check out some of our juicing recipes to get more ideas on some basic juice blends, like the green juice blast or our beet juice recipe. Although purchasing quality bottled juice or buying if fresh from a "juice bar" is a popular alternative these days, there's nothing quite like freshly pressed juice using organic produce and its way more affordable if you happen to drink juices on a frequent basis. Learning how to make juice with a blender makes if possible for anyone to achieve. Again, remember this is also a great method to use when traveling as blending appliances are a lot smaller than juicers and easier to clean.